85 Gram single refill packet for the Carbon Snake. Premium quality activated carbon from stone coal. 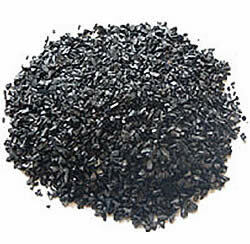 Activated carbon is an excellent absorbent. It has wide applications in many fields such as chemical industry, pharmaceutical industry, light industry, environmental protection and food industry. It has well developed pore structure, high absorption capacity, large specific surface, high hardness, and good stability. It can be used for water treatment, odor and taste removal as well as purification and refinement.